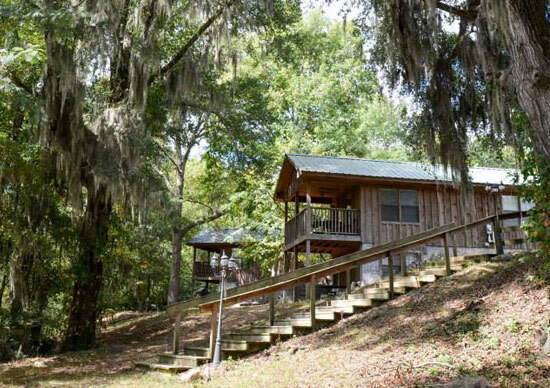 Mimosa Ridge Cabin Rentals in Livingston, Alabama provides cabin rentals for family vacations and group retreats. We are located on the beautiful chalk bluffs of the Tombigbee River and are close to good fishing and hunting locations. Also located on the property, 60 feet above the water, is the Wedding Chapel at Mimosa Ridge. Contact us today to reserve a cabin for your next vacation. If you're looking for a breath of fresh air in a peaceful and tranquil setting, Mimosa Ridge is the place for you. 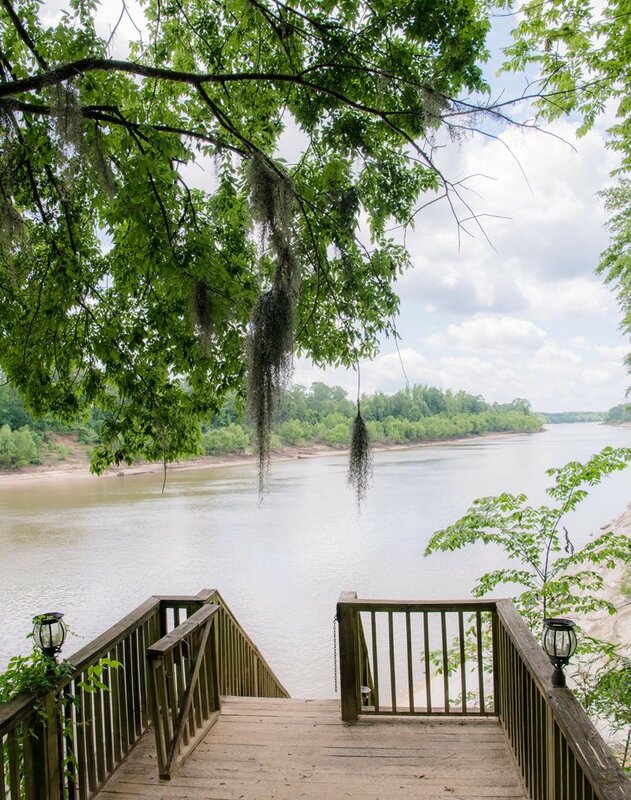 Mimosa Ridge overlooks a mile of the Tombigbee River, sixty feet above the water. At night when it is extra quiet, listen to the Tombigbee roar over the submerged dam at Demopolis. Come experience the relaxation as the sound of this man-made waterfall washes through your bedroom. In a secluded setting, Mimosa Ridge is 25 minutes from Livingston, Alabama, 35 minutes from Demopolis, Alabama, 90 minutes from Tuscaloosa, Alabama and 1 hour from Meridian, Mississippi. Mimosa Ridge is less than 5 minutes away from the 7,000 acre Demopolis Wildlife Management Area, and Belmont Park, a boat launch and park facility. Mimosa Ridge features five cabins that all have a waterfront view. Cabins are centrally heated and cooled, feature hardwood and ceramic floors, private decks, king-size beds, full kitchens, satellite TV, high speed internet and all the fresh air you can breathe. 2-Night Minimum on the Weekends. We are located on the beautiful Tombigbee River. All our cabins have a great view of the river from above, stretching a half mile in each direction. We are also located near great fishing and hunting opportunities. Mimosa Ridge Wedding Chapel is also located on the property. Book your Alabama cabin rental today! © 2018, Mimosa Ridge Cabin Rentals. All Rights Reserved.